It's that time again!!! Erin from Sewbon is here sharing her confession (and a neat tutorial!). If you haven't been over to her blog yet, visit-- I'm sure you will fall in love with her amazing photography and clean, classic style. 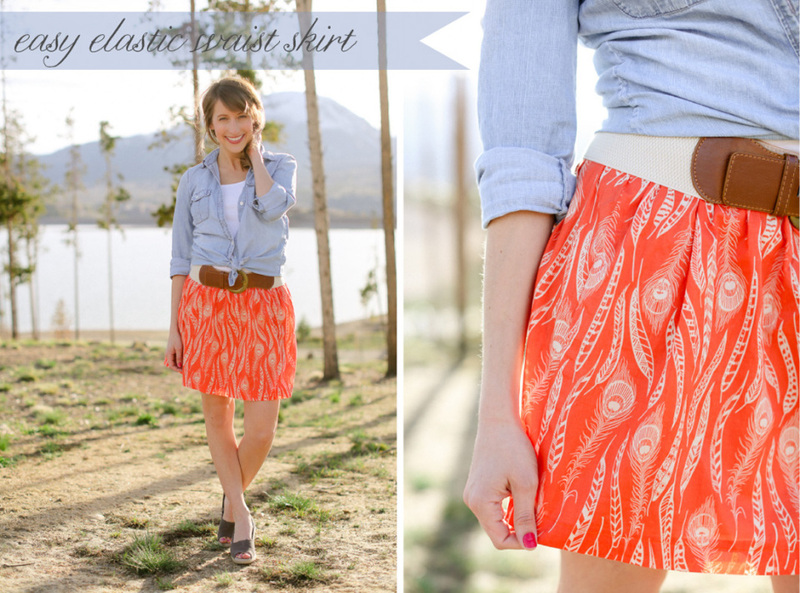 Case in point: Check out her easy elastic skirt tutorial. I just love that red! 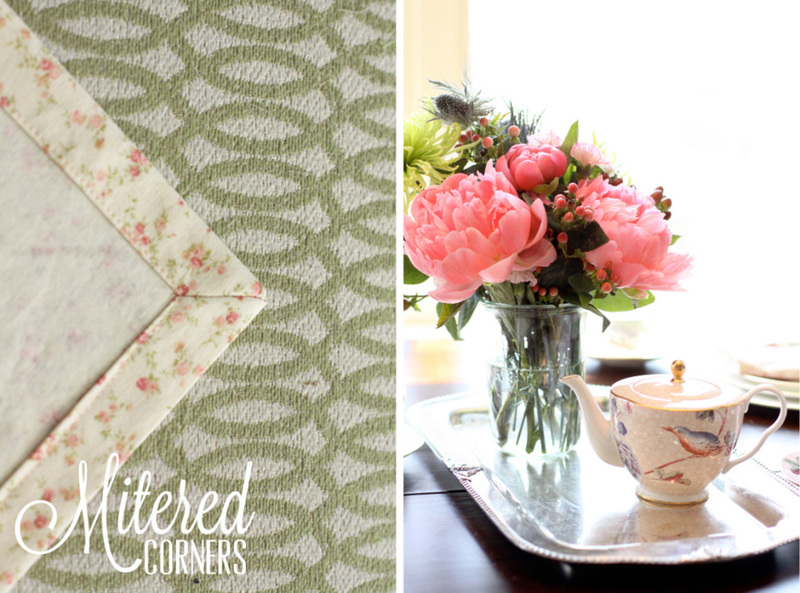 And, can you beive she had these gorgeous napkins at her wedding? And she shares a mitered corner tutorial that I'm going to have to bookmark-- mine never turn out that perfect. And if you've ever thought about sewing for yourself, she has a ton of women's sewing inspiration on her site. I love this Swiss dot tank! Thanks so much, Palak, for inviting me to confess my embarrassing DIY secrets today! As most of my friends can attest, I’m pretty much an open book. I’m terrible at keeping my own secrets (probably because I’m an over sharer), so this is right up my alley. Although, when I sat down to think about it, I honestly wasn’t sure what I should confess. Goodness knows I have my fair share of unfinished projects (a sad quilt top that I sewed before I understood the importance of consistent seam allowances… a half crocheted cowl that is more the size of a man’s hanky), embarrassing habits (sewing over pins which have now caused my machine to act up at the most inopportune moments and has now made me question if I should wear safety goggles when sewing… rarely clipping excess threads until they are all tangled up in another stitch or seam and I’ve got a hot mess on my hands), and giant whoops’s (cutting holes by accident in my projects just when I’m on the very last step… measuring once, cutting once, and having to buy more fabric to try again). I wasn’t sure if I should divulge this though… it’s kinda big… and really embarrassing! So here it is… I do not know how to hand sew! Well, I’m going to chalk that up to never taking home ec in middle school. 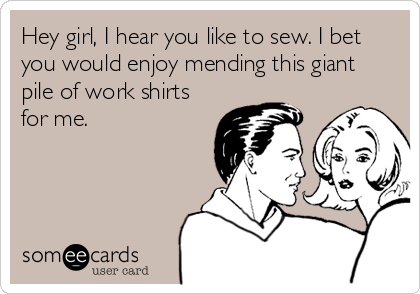 But now that I’m sewing a lot, shouldn’t this be a skill that I should know? Sadly, it’s not. But lucky for me, I’ve gotten around it for quite some time. My method of “getting around it” usually results in my husband’s shirts that need buttons sewn on lying in a pathetic pile for multiple months on end, or just cramming a seam that should be hand stitched under the presser foot, stitching it right up, and calling it a “design decision”. However, the other day I was reading my sewing machine manual (who does that?!) and I learned that it can sew buttons on! And all of a sudden, that pile of golf shirts and work pants suddenly looked much more appealing. Have you sewn buttons on with your sewing machine before? If not, I’ll give you the low down. disclaimer: this does not work for buttons with shanks. Also, it’s always a good idea to read your sewing machine manual. First, find a little foot that looks like this. Select the zig zag stitch. Change the stitch length to 0. Important! Always test using the hand wheel that the needle will alternate between the buttonholes without hitting the button before putting the pedal to the metal! Stitch about 10 - 15 times back and forth so the button is secure. Pull your threads to the back and knot. Now admire your handy work that didn’t require any hand sewing! Thank you Erin! (And hello? You know I love reading my sewing machine manual!) I admit, I was absolutely shocked that Erin doesn't hand sew-- you'd never know it looking at how gorgeous and perfect her finished items are! Thank you so much for sharing that tutorial! If you don't have a button foot, you can also use your applique foot, or (and please be careful if you do this!) no foot at all. Which is how I roll... since I don't like to handsew either. Head on over to Sewbon and give Erin a big hug!